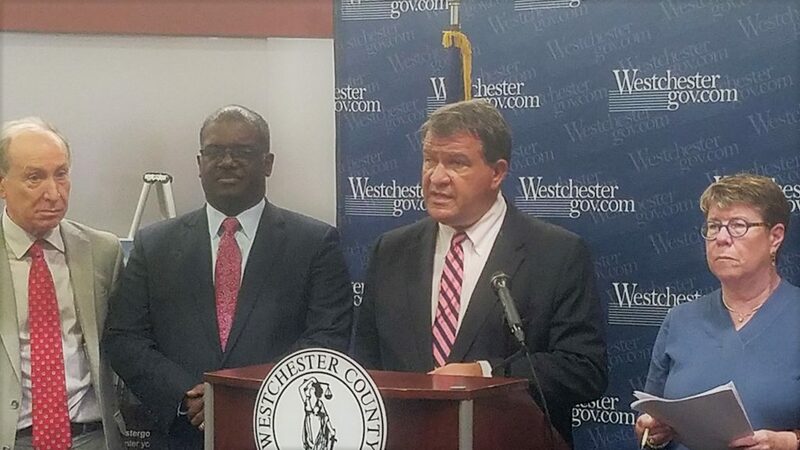 WHITE PLAINS—As a follow-up to recent public hearings on a variety of issues at the Westchester County Airport, County Executive George Latimer said at a press conference on Aug. 13 that any potential new privatization plan would be up to the County Board of Legislators to review. 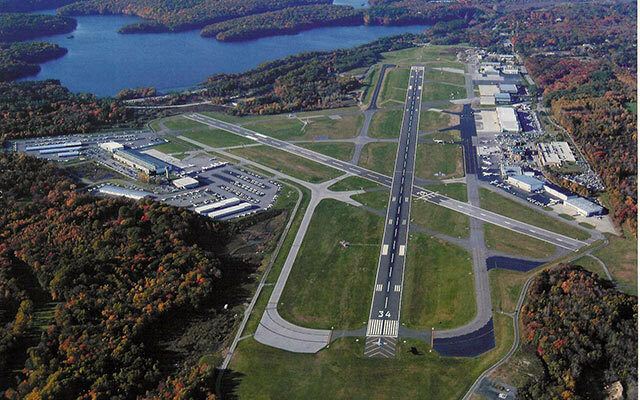 Last November, former Westchester County Executive Robert Astorino announced he had selected Macquarie Infrastructure Corporation to operate Westchester County Airport as part of a $1.1-billion public-private partnership. Macquarie was the unanimous choice of a bi-partisan task force made up of members of the Astorino administration and the Board of Legislators to evaluate the three proposals received in April 2017 to manage, operate, maintain and improve the airport under a long-term lease. However, that plan was not ratified by the County Board of Legislators prior to Astorino leaving office. While County Executive Latimer said that his administration has engaged in discussions with Macquarie and other bidders for the airport privatization initiative, none of the bids submitted last year are currently before the County Board of Legislators for consideration. However, he stressed that his administration and chiefly the County Board of Legislators are having a discussion on whether to change the governance of the airport. During his campaign for County Executive, Latimer said he was not in favor of the privatization plan proposed by Astorino. Latimer is facing a $32-million deficit and is expecting budget projections from county department heads by the end of this month with the expectation of presenting his budget in November. The administration is currently mulling various means of raising revenues to bridge the budget gap. County Executive Latimer at the press conference also detailed a number of initiatives based on feedback received at the public hearings regarding airport operations. The administration has ordered 10 portable noise monitors, which will be ready to be placed in key locations by August 31. Those locations will include areas that are the source of a large portion of the complaints, but where there is currently insufficient coverage by fixed noise monitors. They will also be placed in locations that will enable the administration to check the accuracy and validate the data from current fixed monitors. The current fixed noise monitoring system includes some monitors that are more than 20 years old. The administration will be hiring a consultant to assess the number, locations, and the best state of the art technology for the best way to replace the older fixed monitors with newer state of the art equipment. The administration is also in the process of automating the complaint response system. The new system will provide quicker responses and a much more significant level of detail. It will streamline the process of filing a complaint, and provide greater public access to noise complaint information and trends. The administration will have this system up and running by September, including specific complaint handling protocols for response timelines and information. The county is also starting a current inventory of air emissions and greenhouse gasses, creating an air dispersion model, and setting up an emissions monitoring system. The results of the new monitoring system and inventory are expected to take approximately four months to receive back. County officials also reported that the airport water quality testing program, which ended under the Astorino administration, has been resumed. The administration has located 49 of the monitoring wells, and will begin water sampling by Aug. 31, with preliminary test results expected by the end of September.